15% off your next purchase at a Clarks, Bostonian or a Clarks Bostonian Outlet store. Receipt with validation code must be presented to receive discount offer. PC/Notebook usability rating: 5/5. About 5 minutes to finish, one open question, need receipt. Smartphone usability rating: 3/5. No mobile page for smartphones. You can still finish The Clarks Customer Survey via smartphone, it may take about 10 minutes to finish. Enter your contact information and select the answers based on your personal experience and click "Next"
Select your answers based on your experience and click "Next"
Select the date listed on your receipt, enter the 3 digit store number exactly as it appears on the receipt and select the answers or based on your own experience then click "Next"
If you have any problem or difficulty to finish Clarks online customer satisfaction survey, refer to the following survey video recorded by Survebag editorial team. 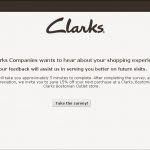 You can also find those related questions and answers related to Clarks customer survey in this article. The Clarks Companies, North America owns and operates 250+ retail stores in the United States and Puerto Rico. You can easily find Clarks – from department stores, to regional shoe stores to independent store retailers, online, in catalogs and even on QVC. The Clarks does not produce a mail order catalog, but you can find the complete collection of current products on their websites www.clarksusa.com and www.bostonianshoe.com. The Clarks accepts the following major credit cards when purchasing online or in a Clarks, Bostonian or Clarks Bostonian Outlet location: Visa, Mastercard, Discover, American Express. Your feedback will assist the Clarks in serving you better on future visits. Go to www.clarkscustomersurvey.com to take the survey and you will save 15% off your next purchase. I have a question for customer service - I received a pair of shoes by mail that were ordered for me thru one of your stores. When they arrived they had a little red arrow sticker on the front of the left shoe. What does that mean? In my retail experience those arrows are used to indicate a flaw in the merchandise. I paid full price for these shoes. I like Clarks, the quality is very good. I like shopping at the outlet store in Ontario. There are a lot of selections and the prices are very reasonable. The people working thre are very helpful. Love all your helpful people and most of all my husband and I both love Clark's Shoes!!!! Was at your store in River head (Tanger Outlets) n Employee Richard Cashier#00054007 he couldn't have been nicer! Excellent service at the West Friendly, NC store. When we visited the store at the Danbury Mall in Ct.the sales lady, Melissa, was very helpful, knowledgeable and full of energy. She was a delight to talk with and always smiling!A very positive personality! Great services. Danielle really helped my husband to find the right size & color for the shoes he wants it. Thanks. They didn't have the correct size and color my husband wanted but they ordered them and are sending them to my home for free. I like the shoes MOJITA SORBET Cognac , it is very beautiful,when I buy shoes at the store -3395 Peachtree Rd NE suite 4046 ,the Salesperson is very nice. I was at the Carlsbad store on 11/25/13. There was a sale going on. I found a pair of shoes that I liked and went up to pay at the register. When I was paying the cashier told me the shoes I had chosen were not discounted even though the box they were in was priced at 79.99. I guess they were improperly placed in that box. I had to ask the cashier for a discount because she was not going to provide one even with your promotion going on. Good service, afortable shoes, all the time mi husband and mi use your shoes... I loved .. I love Clarks shoes, and the shopper at the store is always nice! Went to Clark's for the first time and loved the way the shoes felt on my feet, Zachery the salesperson was such a great help he made sure that I was very happy with my boots that I ordered. The one thing that I didn't like is that Clark's does not carry wide in there sizes and the boots that I wanted only came in wide calf in the store so had to order them from another store so I did not get the sale price of the boots in the store that I was at, it was a 30.00$ difference that I had to pay so I wasn't to happy about that, but I did love the boots so I payed the difference and Zachery looked out for me. Thanks Zachery. ( river town mall). Will for sure be getting more shoes from Clark's. Visited my first Clark Store in Greenville, SC on November 1, 2013 and had an extremely positive experience. It is difficult for me to find a shoe or boot that is comfortable to meet all of my foot needs. Thomas Kim, Store Sales Manager, listened to my needs, was patient, informative, and with his great personality made it a very positive visit! Just about every shoe that I own comes from Clarks shoe store in Ontario Mills, CA. Dan the manager is always helpful when I visit the store. He is very friendly and personable. He is always on the floor helping customers in a professional manner. I can attest that he is a valued employee of your outfit. I have just finished a survey and got a coupon with number of CSY15. It will be expired in one month by Sep20. However, I will be back China for a short visit. Could you please expend the time a bit longer. I'll right away grab your rss as I can't to find your e-mail subscription link or newsletter service. Do you've any? 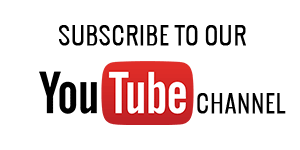 Kindly allow me realize so that I could subscribe. Thanks.